I know that was a bit of bragging, but the truth is, nearly everyone I’ve share this salsa with has loved it. I started small, giving a few jars here and there to family. Then friends had a chance to sample it at get-togethers, and suddenly I was spending a few weeks every September in the kitchen making batch after batch. Even now, I inevitably run out of jars to give away by winter’s end. For me, all the time spent with boxes of tomatoes and piles of peppers is worth it. I like to share–it’s like giving a little part of myself to those closest to me. Sometimes, the easiest way for me to say I care is through food. 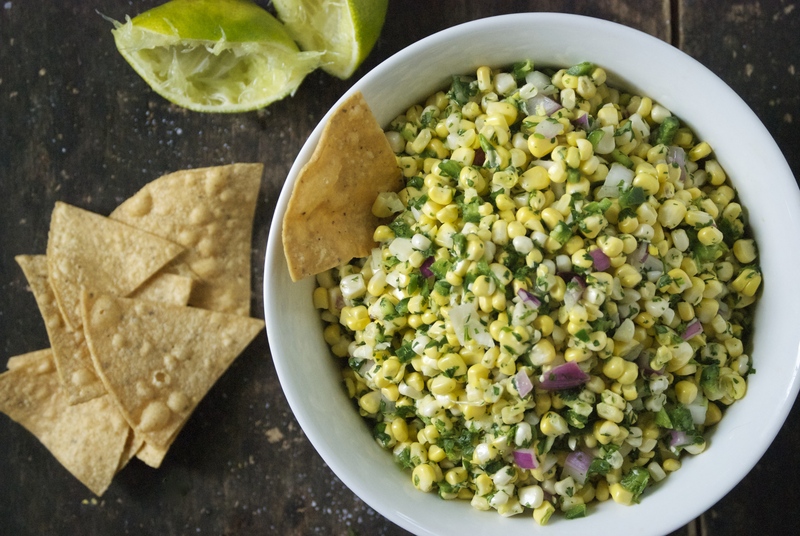 I started making a version of this salsa years ago– Radd’s aunt shared her base recipe with me. 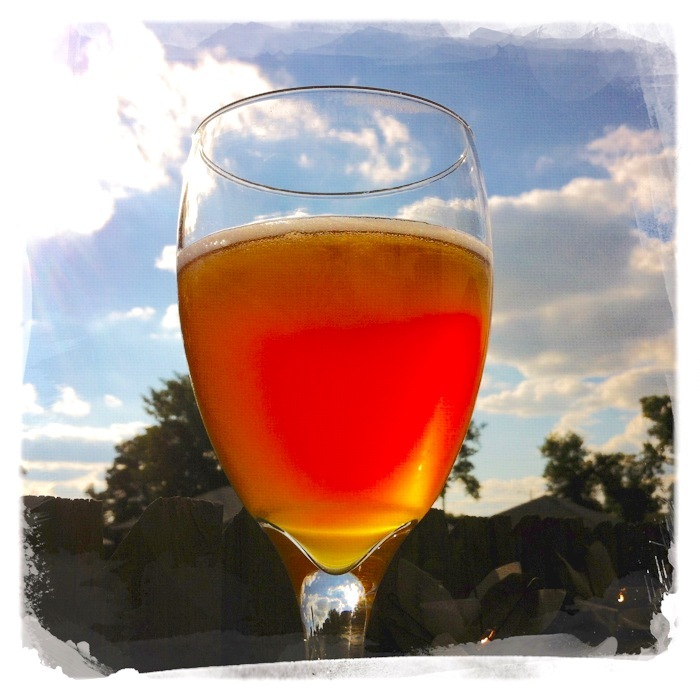 Over time and many, many experimental batches, the recipe evolved into what you see here. As you likely know, we like things spicy in our house. For those less-courageous friends, as well as our kids, I make a much milder version. 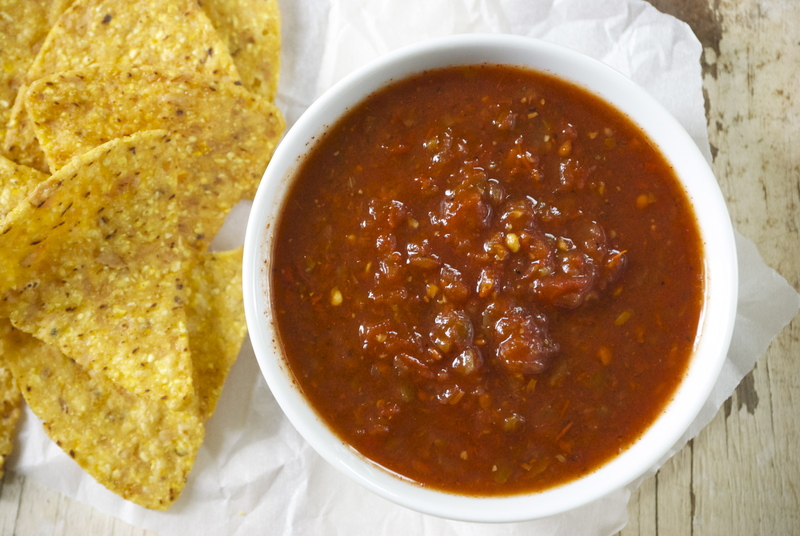 The point is, you really have full control over how fiery you want this salsa to be. If you have questions on how much heat a specific type of pepper adds, take a look here for comparison. This year I made my mild version, but for my hotter “Inferno” batches I used a pile of habaneros. And this weekend I tracked down some Bhut Jolokia “Ghost” peppers (1,000,000+ Scovilles!) for a batch that I hope will be face-meltingly hot for my husband, who is crazy. 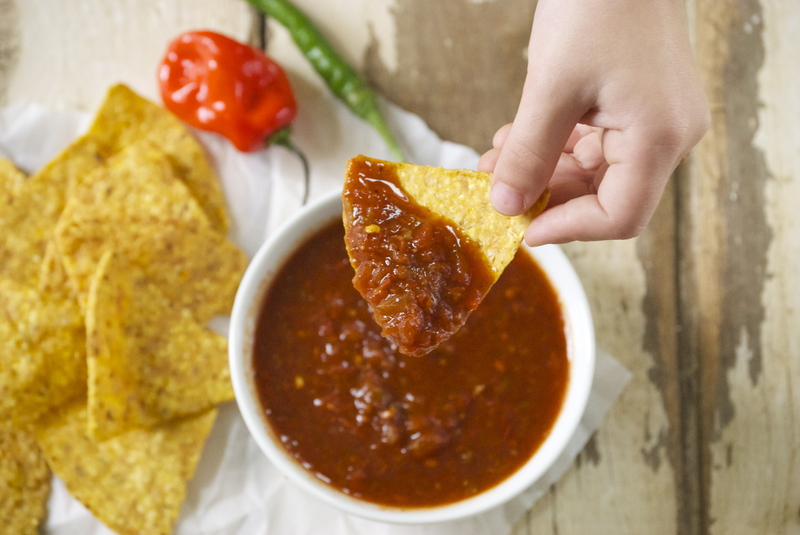 Aside from control of the heat, you can also vary how chunky you want the salsa to be. Over the years I’ve changed my method. I used to roughly chop everything and then use an immersion blender at the end for a very smooth texture. More recently, I’ve stopped doing that, since I like my salsa to have a few more chunks. Instead, I pulse everything in the food processor before cooking it. It cooks down to the perfect consistency for my taste. 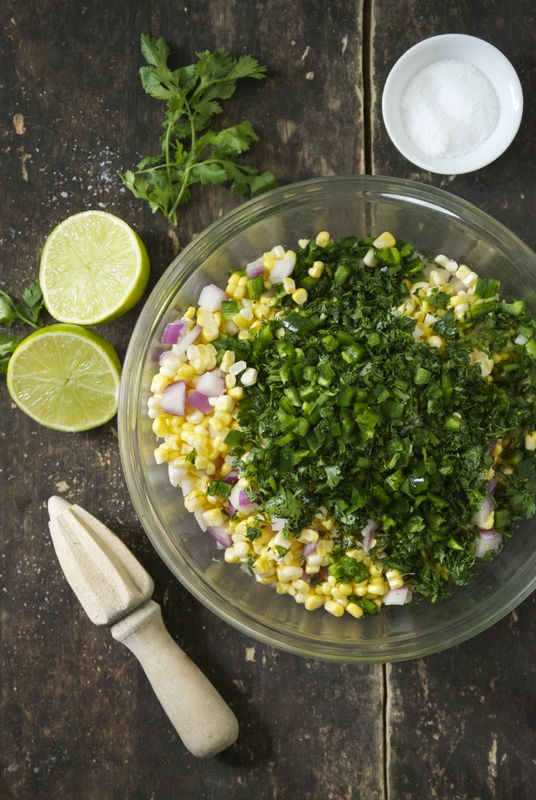 If you don’t have a food processor– you can just chop, chop chop! 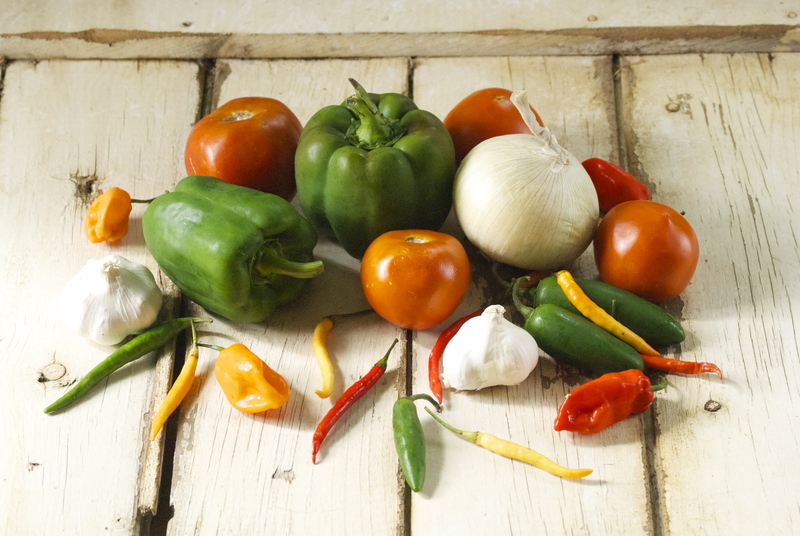 To be honest, the bulk of the work in making salsa is chopping the ingredients– the rest is a waiting game. Waiting for it to become the right consistency. Waiting for it to process in the water bath. All in all, it generally takes me about 3-4 hours from start to finish. But it’s well worth the time. Especially when you get to open up a jar and settle in front of the t.v. during a January snowstorm. 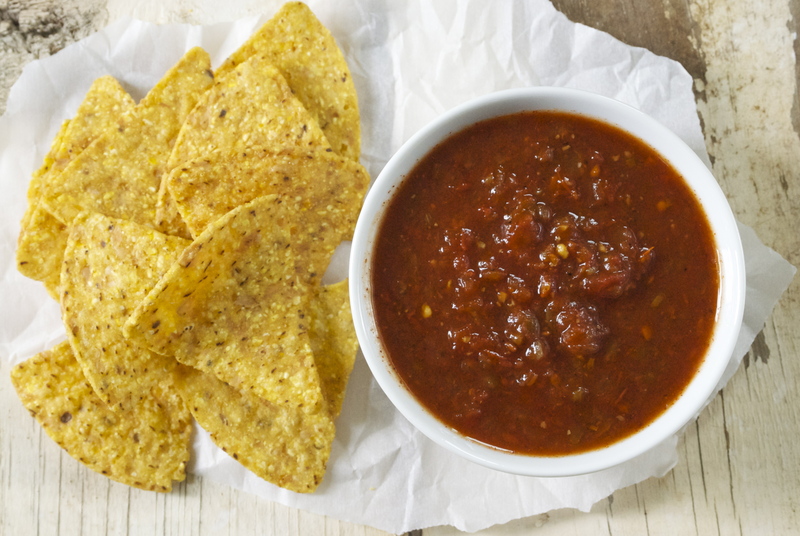 Just a few notes on preserving your salsa. Since this recipe is my own, it obviously doesn’t come from a canning website. Canning is a big responsibility. It’s not difficult, but there can be risks. I’ve poked around the internet to compare this recipe with others for safety purposes. 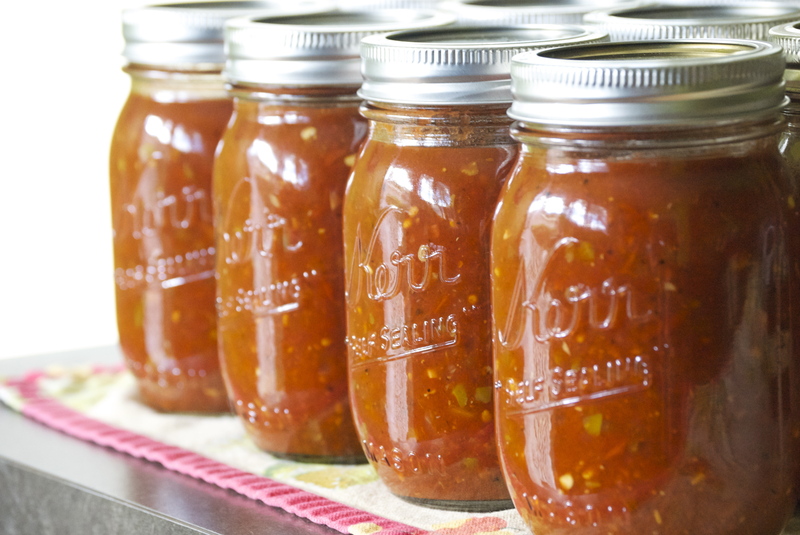 The amounts and ratios of vinegar, tomatoes, and peppers is typical of many from canning sites. I’ve made my salsa this way for about 15 years and have never encountered a problem. Even so, if you do have any concerns, I suggest taking a look at one of the many websites and blogs devoted to canning. 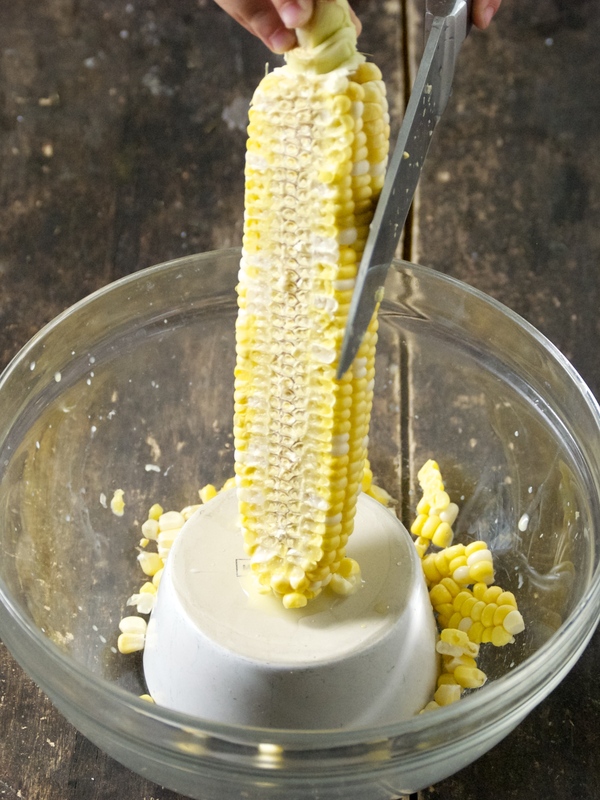 So, for those of you who have been patiently waiting for me to share this recipe– here you go! I hope you love it so much that you make batches upon batches for your family and friends, as well. Cheers. 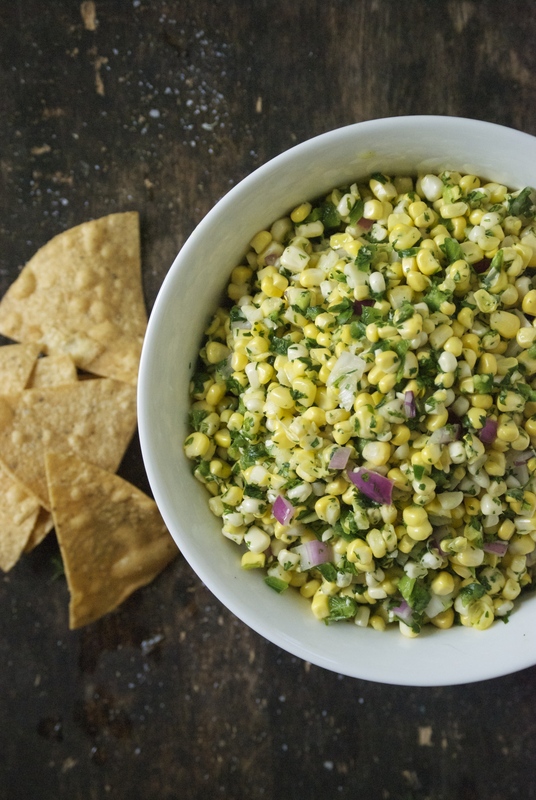 Note: You can make this salsa as hot or as mild as you want. I would suggest using about 3 jalapeños for a mild version. I chop the seeds and all. It won’t be spicy, but the jalapeños will give it a great flavor. For our favorite version that we call “Inferno”, I use: 12 habaneros, 5 jalapeños, 12 chilis, and 8 serranos. If you do enjoy hot salsa, I would encourage you to seek out some habaneros, as their unique, almost sweet-like flavor cannot be beat. When working with the very spicy peppers, it is a good idea to use plastic or latex gloves, if possible. Be very careful about what you touch. Also, be careful about inhaling too closely to the chopped peppers. Note: Jars and rims can be re-used over and over again. Lids (the flat piece with a glue-like substance) needs to be replaced every time you can something. You will need: A very large heavy-bottomed canning kettle to hold all of the chopped ingredients. Another very large kettle (or two) to process the filled jars of salsa, and hopefully a rack to set on the bottom of it (though you’ll be fine without, too). A small saucepan to boil the lids and tongs to lift them out of the hot water. A ladle to fill the jars. A jar lifter, to remove the processed salsa from the hot water bath. Paper towels, for wiping the edge of the jars clean. 15-16 pint jars with lids and rims. Let’s get started! Use a food processor (or a knife and cutting board) and pulse each type of vegetable separately. I do mix the onions and garlic together. You will not want large chunks and you will not want it finely puréed, but something in between. 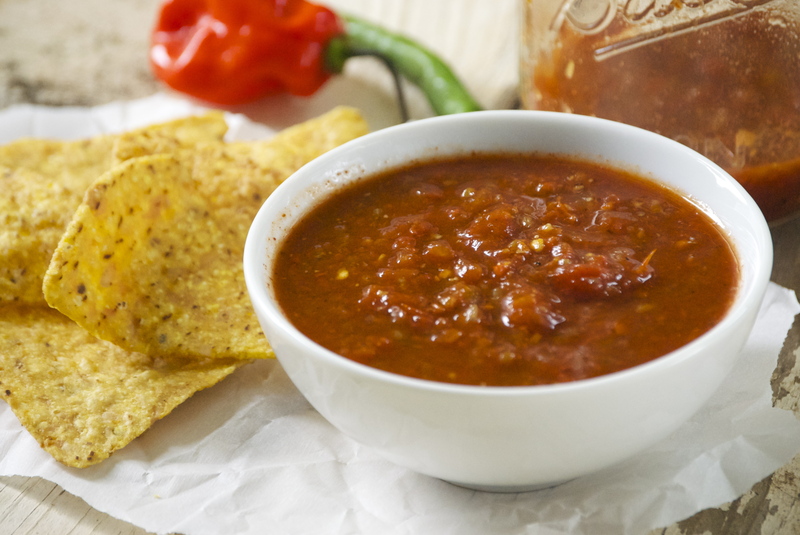 Place all of the ingredients for the salsa into a large heavy-bottomed kettle and stir. 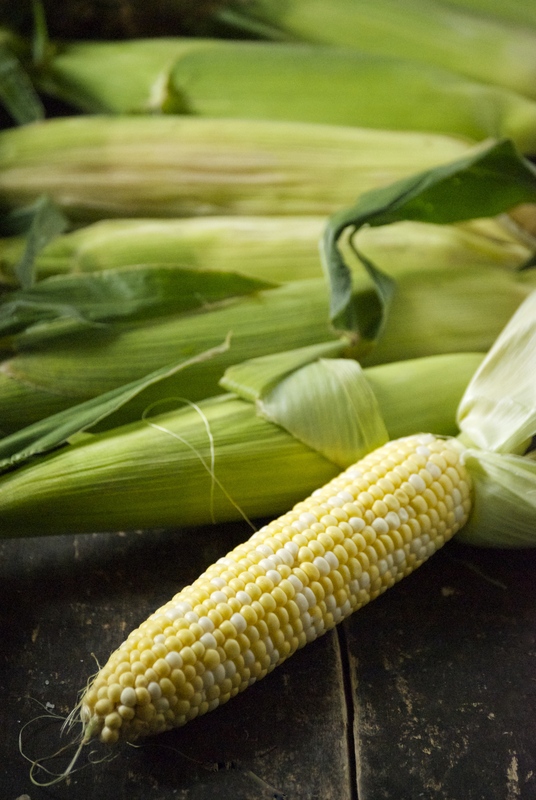 Bring to a boil, then reduce heat to medium (uncovered) and let cook for about an hour (or more), or until it is your desired consistency. It should be bubbling, but not at a rolling boil. You may need to cook it longer to get it as thick as you want it. A lot will depend on your tomatoes and their water content. Make sure to stir frequently, to avoid scorching. Meanwhile, fill a large canning kettle (or two) halfway full of water and begin to heat. You will be using this to give your filled jars a hot water bath. I used to use two smaller kettles for this, but recently discovered that my husbands huge kettle for brewing beer worked very well. If you can fit a cooling rack on the bottom, do it. It’s good to not have the jars on direct heat– but, you should be fine if you don’t have one. At this point, you should have decided how you want to sterilize your jars and rims. Some people like to dip them in the boiling water to do so. I use my dishwasher on the “sterilize cycle” and time it out for them to be done just as the salsa is ready to be jarred. You will also want to fill a small saucepan with water and place the lids in it. Turn it on low/medium– this is an important step as it not only sterilizes the lids, but more importantly, it softens the glue-substance, so it can seal properly. When your salsa is ready, begin ladling each jar with salsa. Make sure to leave about 1/4 – 1/2-inch space at the top. Wipe the edge of the jar clean with a wet paper towel. Place a lid (using tongs to grab them out of the hot water), and then a rim on each jar. Repeat until all the jars are full and the salsa is gone. Next, use a jar lifter to gently place the filled jars into the hot water bath. Fit as many as you can into the kettle. The jars should be covered with boiling water. Cover and process for 20 minutes. Remove using the jar lifter and place on a kitchen towel. You will most likely hear the seals start to pop within minutes. This is a good thing. Repeat until all the jars are processed. After a few hours, touch the tops of the jars, they should all be flat against the jar and not make a sound if tapped. If not, it did not seal properly and you should place that particular jar in the refrigerator and use first. Alright! You did it– let me know if you have anymore questions. I hope I covered everything. Your first canning experience may seen lengthy, but the more you do it, the more comfortable you will become. Enjoy!